Sea Street Beach Scene – Stampin’ Up! Since I’m impatiently waiting for all of my new Stampin’ Up! goodies to arrive, I’ve been trying to play with some of the fun new things that I do have from the 2014-15 Catalog! 🙂 Today I used the Sea Street stamp set to create a card inspired by the Stamping and Blogging SB58 Sketch. Be sure to stop by the other design team members blogs (linked below) see their fabulous creations! The colors for my card were inspired by Sunday Stamps SSC77. I started by stamping the starfish images from the Sea Street stamp set in Bermuda Bay ink on a Bermuda Bay card stock panel. I adhered the stamped panel to a Sahara Sand card base with SNAIL. I stamped a Pacific Point card stock panel with the little school of fish image from the Sea Street stamp set in Pacific Point ink and I adhered the panel to a panel of Sahara Sand card stock, then to the card front with SNAIL. I stamped the edges of a strip of Sahara Sand card stock with the rope image from the Sea Street stamp set in Sahara Sand ink, using my Stamp-a-ma-jig to help with placement. Then I stamped a strip of Whisper White card stock with the anchor image in Bermuda Bay, Sahara Sand and Pacific Point inks (also using my Stamp-a-ma-jig for placement). I adhered the two strips together, then to the card front with SNAIL. I stamped the octopus image in Bermuda Bay ink on a Whisper White card stock panel, punched it out with my 2-1/2″ Circle Punch and layered it over a Circles Collection Framelits die cut from Bermuda Bay card stock. 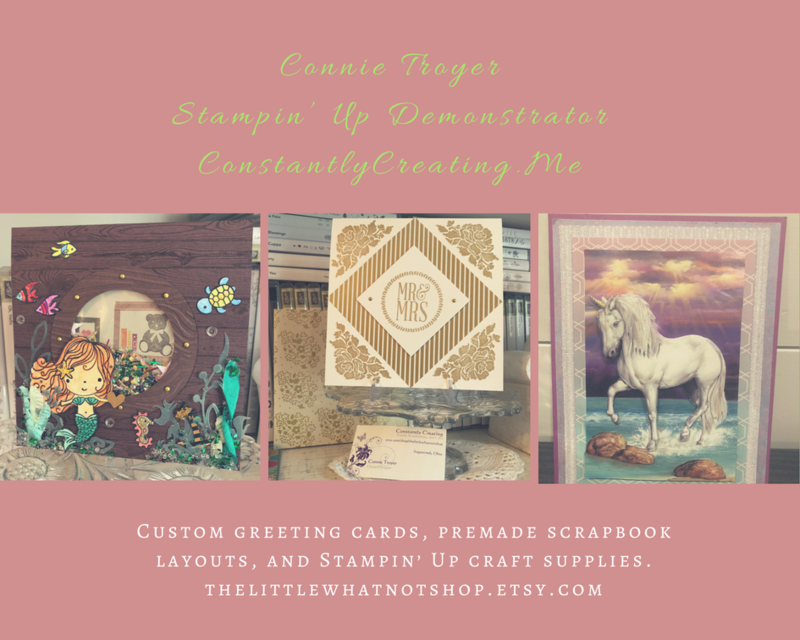 I adhered the layered circle image to the card front with Stampin’ Dimensionals and added a few Rhinestone Basic Jewels (in an attempt to look like bubbles) to the card front to complete it. I stamped the starfish image in Sahara Sand ink on a Whisper White panel to complete the inside of the card. Use this hostess code when you order and receive a free gift from me! If your order is over $150, please do not use this code, but you’ll still get the free gift! The free gift for June is a package of the 2013-15 In Color Sequin Assortment PLUS your choice of one of the 1/16″ Baker’s Twine colors (Basic Black, Basic Gray, Bermuda Bay, Blushing Bride, Cherry Cobbler, Crushed Curry, Early Espresso, Old Olive, Tangerine Tango or Whisper White). The last day to order from the retiring list is today, June 4 so be sure to stop by my online store to pick up any of those items that you’ll be sad to see gone. Plus you can also order items from the new catalog too and this is the last day that you can do that! Click here to head over to start shopping the retiring list now. This entry was posted in Child/Kid, For a Friend, For You and tagged Amy Koenders, Atlanta, Atlanta GA, CAS, Demonstrator, Duluth GA, Georgia, Johns Creek, Sea Street, stamp with amy k, Stampin Up. Bookmark the permalink. 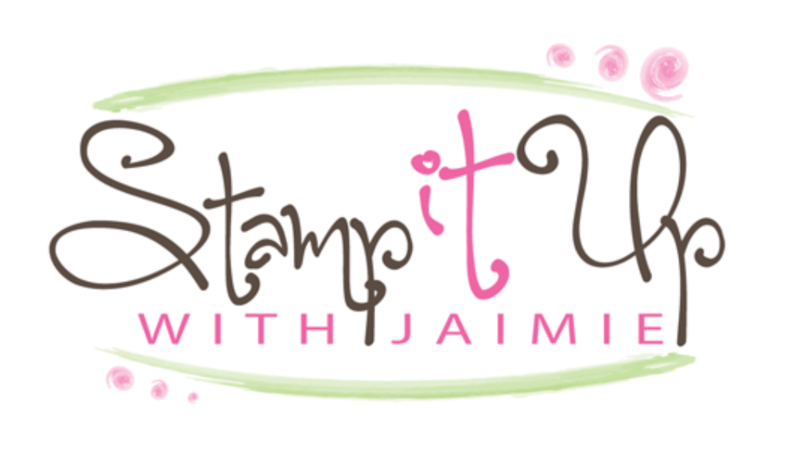 ← Traveler With a Post Card & New Weekly Deals from Stampin’ Up! OMGosh,I LOVe this card Amy, I just got this stamp set and Designer Paper, Ok, it’s arriving today, haha…and I’m going to be casing this card for sure, it’s Perfect!…. Oh, those colors look so bright and cheery on this stormy day. Makes me smile! I resisted the urge to buy this stamp set but it is still on my wish list. I especially like the school of fish – just so cute and a great card! I just knew it!! I was going to order this in my first order and didn’t. now I’m sorry. This is too adorable Amy….into the case file it goes!!! Thanks so much Jill! I was really happy with the way that this card turned out too. The color challenge was awesome!! Very cute card – our colours this week work perfectly with this set! Thanks for playing along with us at Sunday Stamps. Your colors do work perfectly with this set, loved them!! Thanks for stopping by to leave me a comment. I love that you created your own DSP with this awesome set – looks great! I have been resisting this set, but this card may have just changed my mind! Thanks so much for joining us at Sunday Stamps! I love your smiling octopus image with all the nautical backgrounds! Great job with the challenge colors. Thanks for playing along with us at Sunday Stamps–please join us again soon! Thank you for stopping by to leave a comment. I appreciate it! Amy, I LOVE THIS! Really like how you made your own background papers! Great layers! Thank you so much for joining us at Sunday Stamps, hope you will create with us again.